We will work together to decide if acupuncture and cupping treatments are right for you. 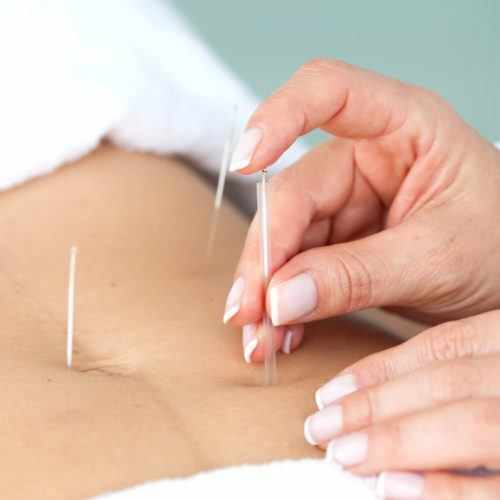 Acupuncture involves insertion of hair-thin sterile steel needles to affect pain nerve fibers, as well as to invigorate the function of muscles, blood vessels, glands and organs. Treatment protocols are developed based on your unique needs. Insertion of the needles goes unnoticed by some while to others feels like a small pinch followed by a sensation of tingling, numbness, ache, warmth or heaviness. Needles remain in place for 15 to 20 minutes. Most people are pleased to find that sessions are not uncomfortable and even look forward to them. The World Health Organization (WHO) identified conditions in the Acupuncture: Review and Analysis of Reports on Controlled Clinical Trials for which acupuncture has been proven effective through controlled trials. Cupping works well for managing pain in conjunction with acupuncture or as a standalone treatment. Plastic or silicon cups are placed on the skin over areas of pain or stiffness. Vacuum is then created inside the cups to causes superficial inflammation to relieve deeper inflammation. Aside from pain, cupping is also indicated for menstrual pain, headaches, common cold and anxiety.